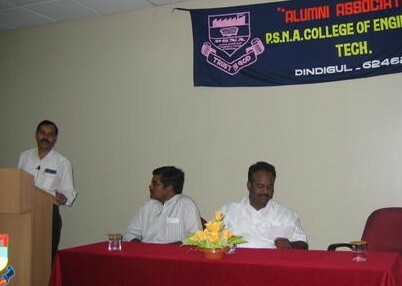 On the morning of 25th September 2005, there was a grand event at the PSNA College campus. A bunch of graduates who passed out in 1995 decided to get together and see what each other has been doing, how much of waist-line/weight gain each has had and see how the college has developed. 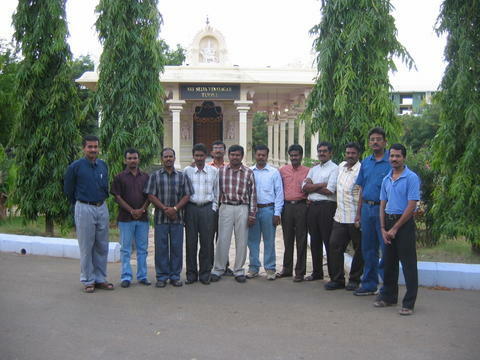 This was a first-of-its kind reunion of a particular batch at the college. It was great to be at the campus after 10 years and see the phenomenal growth that has happened. 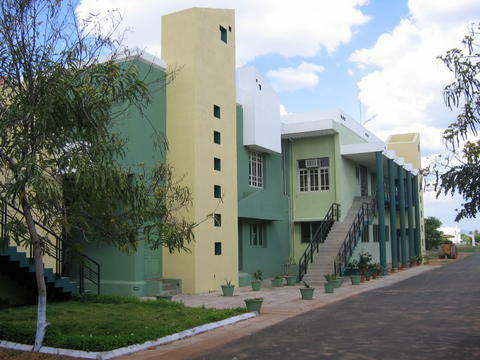 Separate blocks for each department with a dedicated library, air-conditioned auditorium and computer lab. A Selva Vinayagar temple for the last minute exam goers. A guest house of high quality to house M Kurunanidhi for a few days during his Dingigul trip. Due to whatever reasons, the expected number did not turn up. There were about 15 participants, mostly from Mechanical. 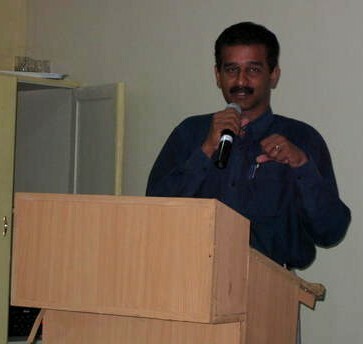 Mr R Kannan with his usual energy helped organize the event. Principal Dr K Thyagarajah and the Director Mr RSK Raguraman attended the function. After the formal events, we all had lunch at the guest house and spent the afternoon with fun and games. This link has some photographs. 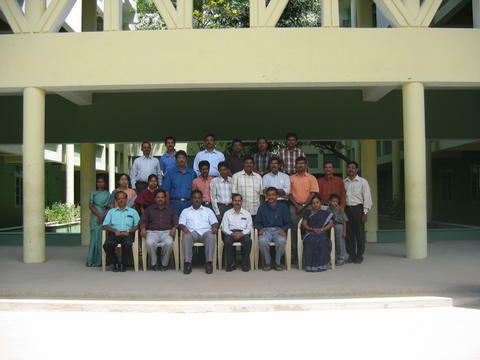 PS: There is a great opportunity for the 1991 and the 1996 batches to organize a similar event in August/September 2006, along with the annual alumni get-together. Please start planning since u have ample time. Preferred location is the college campus.